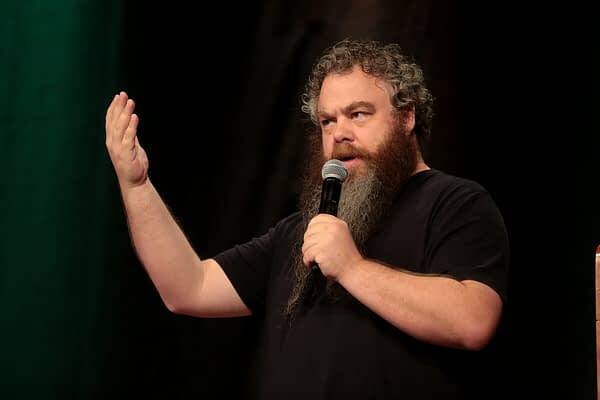 Patrick Rothfuss took the stage at the Mothman Theatre during PAX Unplugged, and immediately asked attendees to lower their expectations for his panel. It appears he had some trouble getting to his presentation, with an emergency alert going out and directions to NOT use the emergency exits! Despite not getting his morning coffee, Rothfuss was genuinely bubbly and entertaining. Rothfuss and his extraordinary beard relayed an entertaining story about attending PAX West a number of years ago, with half of the people in attendance at the 1,000 seat venue not knowing who he was; this caused him to implement a “who doesn’t know who I am” introduction to his panels. Nice Star Trek: TNG “four lights” call-back, Rothfuss! If you’re going to comment on the lights on stage, best to make it funny! Rothfuss then goes on to review Dahl’s Esio Trot, and goes into great detail of the moral shortcomings of Mr. Hoppy’s actions in the book. He realized half way through reading the book to his children that Mr. Hoppy was kind of a terrible person, and decided to tell his children a different version of the story in which Hoppy is merely feeding his neighbor’s turtle instead of replacing her tortoise with consecutively larger pets every night. Q: What is going on with World Builders? 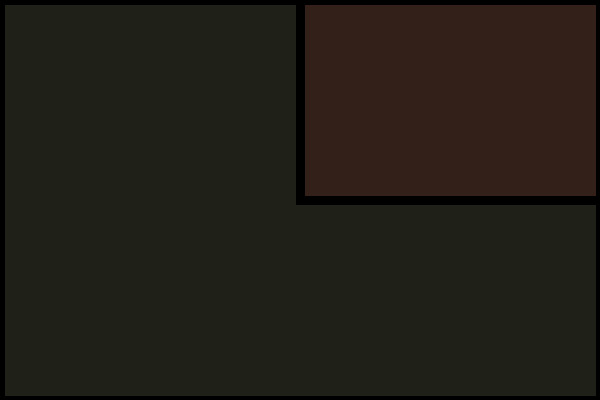 A: World Builders is a charity Rothfuss started a decade ago, and has raised millions of dollars for Haitian disaster relief, literacy efforts, and Hefer International, an organization that strives to alleviate food scarcity around the world. World Builders mobilizes the geek community to raise funds for World Builders, which then helps build up impoverished populations. Rothfuss is working on bringing other authors into the fold with World Builders; coupons are being developed that will allow players to cash in “dramatic rescues” or other perks during a role-playing game session. These coupons can be picked up by donating directly to World Builders, but you should probably check with your game master before bringing one into play! Creators from Critical Role, Acquisitions Incorporated, and Adventure Zone are already on board, with more being announced soon! Q: Did Rothfuss use his Dungeons and Dragons character for his book? A: Rothfuss admits only to using the name of one of his characters in an Acquisitions, Incorporated game session, and that they are not the same character. Q: Is Lin Manuel Miranda on board to provide music for The Kingkiller Chronicle television series? A: Rothfuss says he is excited about the work being done on the series, and that Miranda will call him from time to time with snippets of music that he has written, but it wouldn’t be cool to share another creator’s work without permission. Q: Which The Kingkiller Chronicle character would Rothfuss give a hug to if he could? A: He thinks most of his characters would hate him if they knew he was the creator of their world and it’s associated hardships, and that “a bearded murder hobo crawling out from the bushes” probably wouldn’t be received too well, either. So, he settled with Felurian, since she would probably be the most open to it. Q: Would Rothfuss write a short story in the Dresden universe? A: Rothfuss is an unabashed fan of Jim Butcher’s Harry Dresden books, and would love to write a short story, but doesn’t think he should. Q: Do you have any good parenting advice? A: “Don’t let your kids watch TV.” Rothfuss asked people not to give presents that make noise, feeling like kids who play with toys like that just grow up to push buttons. He didn’t allow much television with his kids, sticking primarily to movies from Hiyao Miyazaki. Rothfuss feels that those limitations helped his kids learn how to interact with real people and the real frustrations of the world in a way that screens cannot. Q: Would You Ever Write a Choose Your Own Adventure Book? A: Yes. Rothfuss then went on to talk about the adventure stories he tells his kids, in which he allows them to make choices throughout the story. Q: When is the third book (to The Kingkiller Chronicle) going to come out? A: Rothfuss points out that it’s poor taste to hassle a creator about the progress on a book, since they know more than anyone how frustrating it is to wait on a book, and besides, he’s “saving starving kids.” He did offer that perhaps his publisher could be convinced to release a bit of the next book in advance if World Builders reaches it’s 10 million dollar fundraising goal. Rothfuss closed out the panel with a rendition of “You Are My Sunshine” to applause from the audience. Patrick Rothfuss is the best-selling epic fantasy author behind ‘The Kingkiller Chronicle’. His first book, ‘The Name of the Wind’, won the Quill Award in 2007. The follow-up, ‘The Wise Man’s Fear’ was a New York Times best seller. How Bout a 'The Kingkiller Chronicle' SHOWTIME Series Update?